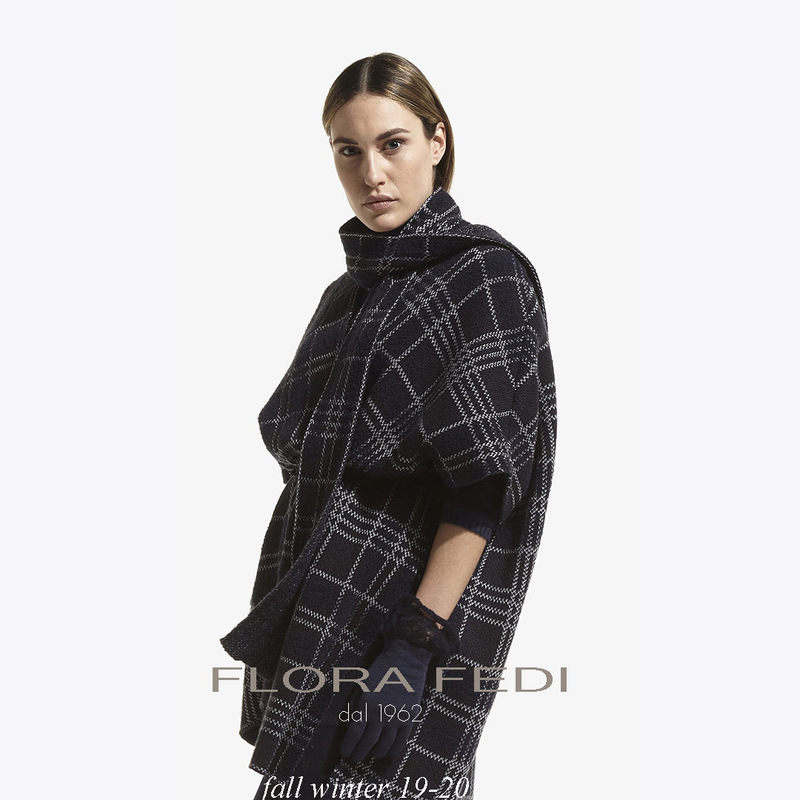 The new Fall Winter 19-20 Collection is named after Flora Fedi, the founder of Maglificio Denny. 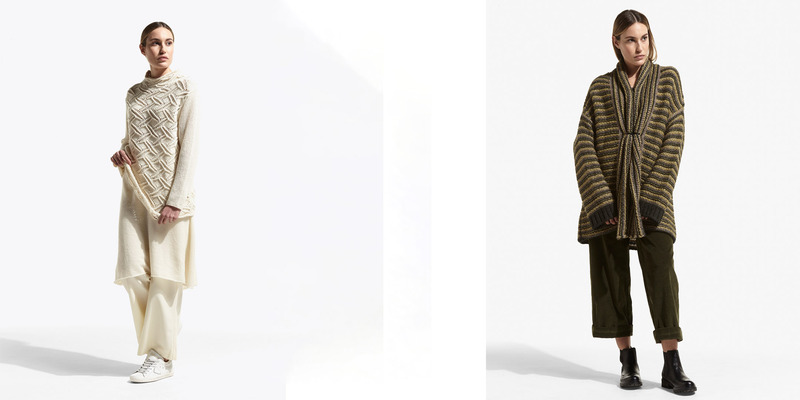 Created in collaboration with designer Giovanni Cavagna, the new collection wants to bring together the past and the future, taking inspiration from knitwear tradition, adapting it to modern times with new lines, volumes and tecniques. Femininity with its many facets is the fil rouge that brings together every piece of this collection, a collection that sees knitwear as its queen, alternating oversize volumes with fit silhouette and box shapes. The attention to details is translated in a proposal of knitting stitches that makes every piece unique: links knit, knitwear, intarsia pattern that gives a graffiti effect, tridimensional knit and classic cable knit with precious paillettes or lurex inlays. Fine compositions echo the craftmanship and knitwear tradition which Maglificio Denny is known for: from a lovely cotton silk blend to a 100% merino wool, even a voluminous but ever so light Alpaca blend. Cashmere remains the supreme yarn with a line that extends to many compositions: from a cashmere blend combined with viscose or wool, to pure cashmere for elegant and timeless pieces. The color palette divides the collection in 4 main styles: the Sport Chic, with shades of white and off-white as the main protagonists, and pieces that combines relaxed lines with sporty knit. Cottage, in which pullover, cardigan, gilet are brought to life with new knit tecniques, tartan motif and various green shades. Metropolitano, where asymmetric and minimal lines enhance the femininity of a cosmopolite woman with sofisticated shades of beige, pearl and grey. Lastly Sera style, where a rich palette that includes purple, blue and black embellishes dresses and crew neck sweaters. 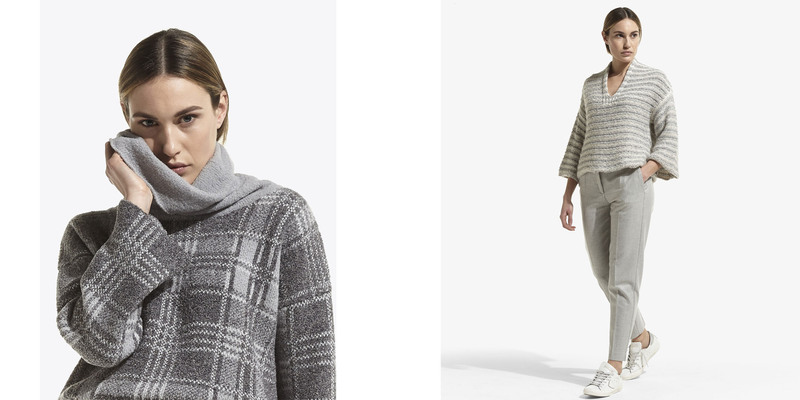 Blouses, dresses shirts and trousers included compliment harmoniously the knitwear garments. In particular, the trousers are made in various compositions, from cady to wool blend, from bistretch wool with lurex threads to corduroy. Pied de poule, galles and check patterns give movement to four main styles: chino, gaucho, new york and palazzo trousers. Finally, the accessories: hats, scarves, shawl, pashmine and gloves in cashmere and wool, embelished by handmade knit and feather details complete the collection with a last elegant touch. This is the Flora Fedi woman, a woman that wants to shine with an elegant but versatile style, who with an indipendent and original point of view wants to tell her story and her womanhood.